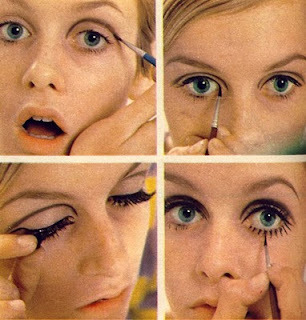 Just in case you ever wanted to try Twiggy makeup, and honestly who hasn't wanted to at some point? I found this photo on this blog while looking for hair inspiration. I'm having Sarah cut it on Friday morning!